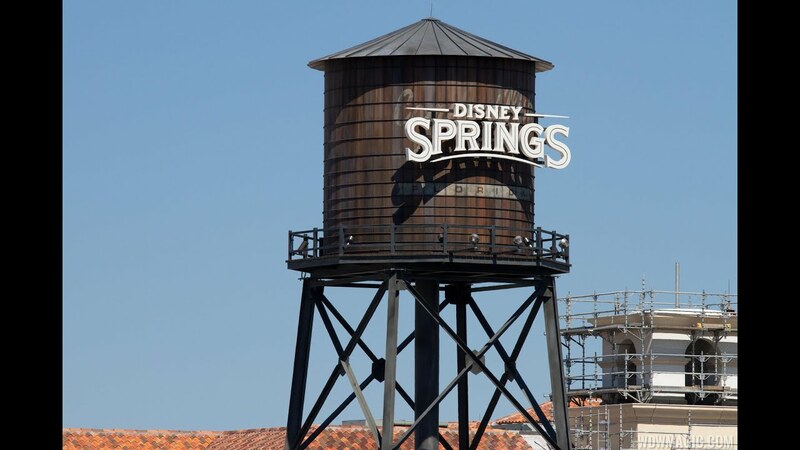 Sep 09, 2015 in "Disney Springs"
Another major milestone was hit yesterday at Disney Springs with the opening of the new Buena Vista Drive flyover ramp. The new ramp takes guests traveling east bound on Buena Vista Drive Drive directly into the parking garage. If you are driving toward Disney Springs from the Epcot side of property, stay in the right lane near Typhoon Lagoon to enter the flyover ramp. Entering the garage from the flyover ramp puts you directly onto level 3, and there is also a slip ramp to descend back down to surface parking. Like the original entrance on the ground level, there is a display providing space availability for each level. The opening of the flyover ramp is part of a series of major changes to handling traffic around Disney Springs. The road is being widened to 10 lanes with dedicated bus lanes, two new pedestrian bridges, and a series of flyovers to enter the parking garages and dedicated exit from I4. We've shot a quick video to show you the full approach and trip across the flyover and then back out of the garage along the exit ramp.